Is there something in your house that’s annoying you to no end? 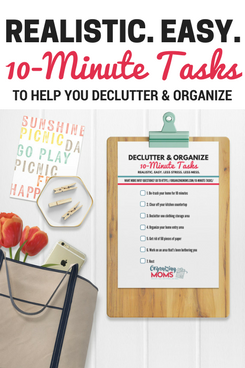 Maybe something in your purse, closet, or office? 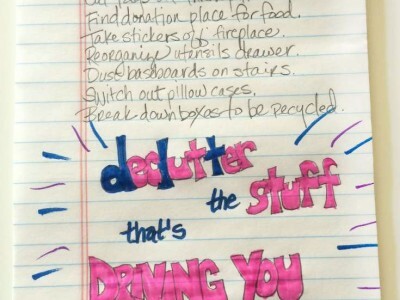 It’s time to declutter the stuff that’s driving you crazy. Often we put off taking care of those little things that drive us crazy because we feel like we need a little more time to take care of them properly. Because we’re procrastinating and waiting for the perfect moment to get things done, we end up causing ourselves a lot of unnecessary aggravation. For example, in our pantry, we store our insulated lunch bags. In our old home, we had good hooks to hang them on, and they were easy to put away. We are living in a rental home now, so we can’t make a lot of changes or drill a lot of holes. So, instead of hanging our lunch bags on a hook, we’ve been hanging them on the corner of the pantry shelving. That would be find, except, whenever we close the door and open it again, it causes the bags to fall off the shelf. At first it wasn’t a big deal. Now it’s beyond annoying to constantly be picking up those silly lunch bags! So, today, I finally cleared out a little bit of extra space in our pantry, and moved the lunch bags to a place where they’re sitting on the shelves. It took me about three minutes to do this. I so wish I had done it sooner! If something is driving you crazy, it makes sense to take care of it right away. I’ve read before that if you think something will take less than five minutes to complete, you should just do it right then and there so it’s not weighing on you. Sometimes that’s easier said than done. One solution is to have a Power Hour from time to time. You can use that hour to take care of the tasks that are driving you crazy. I’ve started keeping a running list of things that are driving me nuts, and whenever I have five minutes here or there, I try to take care of something on the list. Now that I’ve become more conscious of the little things that have been nagging at me, it’s easier for me to take action. And, it’s very satisfying to get rid of those little things that have been annoying you for so long. 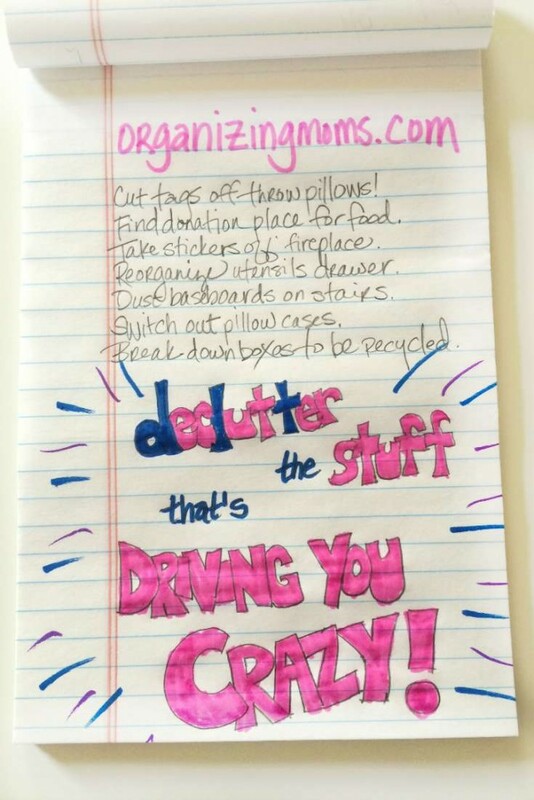 Are you ready to declutter the stuff that’s driving you crazy? What’s at the top of your list?